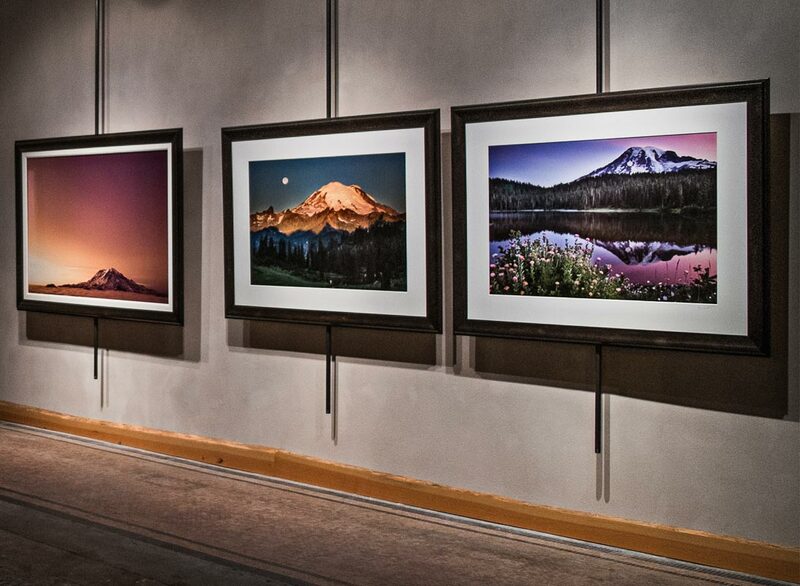 I'm a bit of a lighting fanatic, and use Solux Bulbs in galleries and at home to light artwork. Solux provides an unparalleled replication of natural daylight and is used in many of the world's top museums including the Musee d'Orsay, Van Gogh, and Guggenheim Museum. Solux also has eight times the life and twice the efficiency of standard incandescent sources and does not contain the mercury found in fluorescent lights sources. SoLux bulbs are available in following color temperatures – 3500K, 4100K, 4700K in both 35 and 50 watt bulbs. All of those color temperatures and wattages are offered in four different beam spreads (narrow spot, spot, narrow flood and flood). The 3500K SoLux is primarily a light for color, art, homes and stores when you want to improve their presentation. The 4100K is popular with diamond stores and is just a tiny bit better than the 3500K SoLux for illuminating black and white photos as it increases contrast. The 4700K is used by those that want a very accurate simulation of D50 for doing color matching. Many photographers use the 4700K for color proofing/color management although some use the 3500K SoLux for that since that is the light source they will use for displaying the (color) photo on the wall. The SPD of all SoLux bulbs is smooth and has no spikes or large gaps. The 3500K and 4100K SoLux bulbs have ultra-low UV and greatly reduced IR output and are therefore very art-friendly. You've taken the time to select and present your collection, make sure to finish the process in the best possible light. Once you do this for one piece in your collection and see the results, you will do it for all.